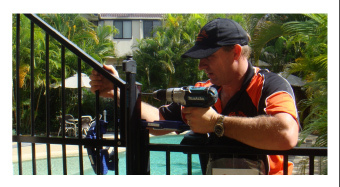 First Class Handyman Services is a LOCALLY OWNED Gold Coast handyman business, which is operated by a qualified tradesman with over 25 YEARS EXPERIENCE in the building industry. We aim to offer a friendly, reliable, affordable, professional service. First Class Quality, Service and Standards are of utmost importance. Only quality products are supplied and installed and all workmanship is 100% GUARANTEED. Our customers have complete peace of mind knowing we are FULLY INSURED. We'll even clean up after ourselves! We offer flexibility in hours – if you need a First Class Handyman we’ll be there! We work closely with a variety of qualified & experienced trade professionals. 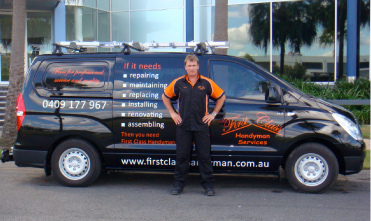 First Class Handyman Gold Coast will arrange for your entire handyman needs to be met – ONE CALL DOES IT ALL! Offering flexibility and quality workmanship, enables us to tailor the services we offer to meet the unique needs of our individual customers. First Class Handyman Services operates in ALL AREAS of the Gold Coast, providing handyman services to both DOMESTIC & COMMERCIAL properties. First Class Handyman Services caters for all your handyman needs from General Handyman Services, to Property Maintenance and Building Repairs. then you need First Class Handyman Services. 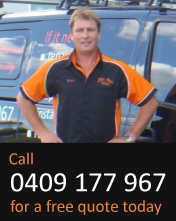 CONTACT US ON 0409 177 967 OR CLICK HERE TO ARRANGE A FREE QUOTE TODAY!